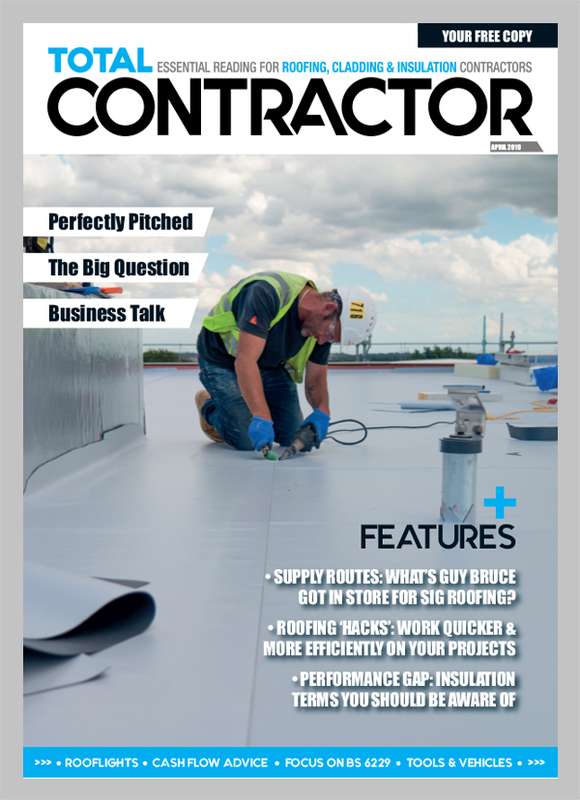 The flat roofing industry (like many) is full of myths and misconceptions, some of which have been discussed or dispelled in these monthly articles, but perhaps one which still remains is the misplaced ‘belief’ that a flat roof should be flat…for the record, it shouldn’t! Whilst it took centuries to convince non-believers the earth is in fact round, we find ourselves in 2018 with many still unaware a flat roof should actually have a fall in it. That fall, albeit minimal and often undetectable to the eye, should be provided to reduce standing water and to enable the roof to drain towards outlets or gutters of sufficient capacity. 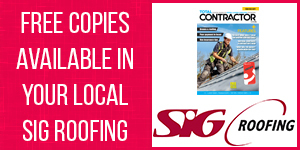 Table 6 of British Standard 6229 (see table) stipulates the minimum falls required for each roof covering, and to ensure they are achieved, allowance should be made for deflection of the structural members and decking under dead and imposed loads and for construction tolerances.  The falls assumed for design should therefore be steeper than the recommended finished falls. An example being for a bitumen roof covering – the roof should have a designed fall of 1 in 40 to achieve a finished fall of 1 in 80. Without these considerations, it is highly likely standing water will occur. Although improvements in membrane technology and performance have increased significantly, standing water may still result in additional and unnecessary stresses in the membrane, particularly in the winter when that standing water freezes. Furthermore, in the event of a defect being present in the area of the ponding, greater water entry will occur when compared to a well-drained roof. Standing water is typically defined as water that remains on the roof for longer than 48 hours, and whilst this is not an immediate threat it can accelerate the natural ageing process and have a detrimental effect on the membrane’s lifespan. Standing water can still occur even when the structural deck has a fall within it, as compressed insulation, blocked or faulty drainage and damaged membranes can all contribute towards this issue too. Regular maintenance can therefore reduce this risk, alongside reducing the number and weight of items permanently stored on the roof. Another contributing factor could be the sequencing of membrane laps and edge details sitting proud of the finished floor level, consequently reducing the water’s ability to navigate past the resulting water-check as illustrated in the images. For those involved in new-build projects, it is always worth checking the roof structure conforms to BS 6229 before applying the waterproofing system. Other trades may not install the deck strictly to British Standards, yet the initial blame for any standing water will probably fall at the roofing contractor’s feet. Correcting falls at a later date would be a costly exercise for all parties, so do not assume it has been installed according to standard. From a refurbishment perspective, a little more thought is required, as any overlay would be influenced by the condition of the existing system and underlying structure below. Tapered insulation is one potential remedy to the problem, as are screeds to falls and firings; however, unventilated voids may result with this approach, which could lead to interstitial condensation. 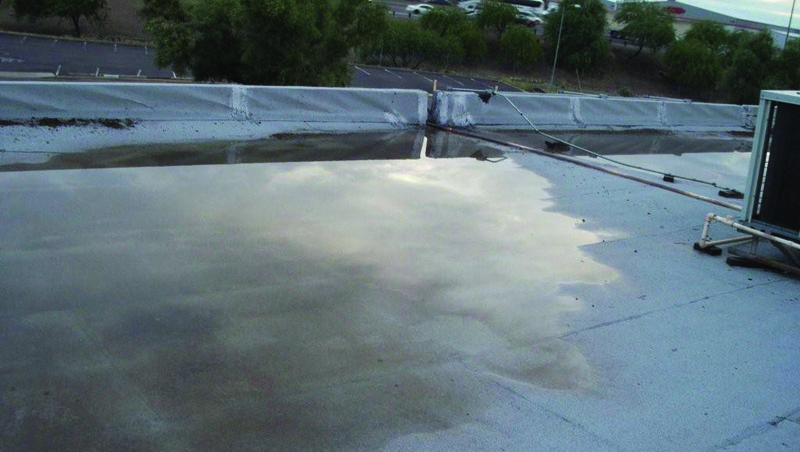 Most manufacturers will accept a small amount of standing water on their membranes; however, the amount may vary depending on the waterproofing system and the ultimate reason for the deflection. 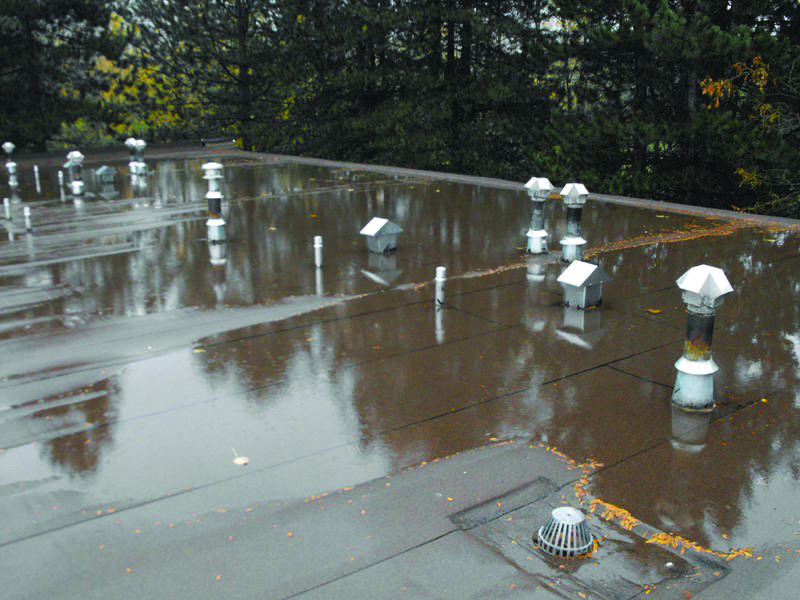 Furthermore, standing water is subjective across the industry and the same amount of water could be viewed differently between manufacturer, installer and the building owner, so it is much wiser to eradicate it altogether to eliminate any potential dispute. As always you should seek advice from the manufacturer to ensure guarantees are achieved and remain valid throughout their specified terms.